Today show host talks about Lisa Wilkinson's departure. Entertainment AFTER a tumultuous year that saw her split from Karl Stefanovic become tangled in tabloid headlines, Cassandra Thorburn is optimistic about her new life. Celebrity KARL Stefanovic’s ex-wife Cassandra Thorburn has spoken for the first time about the heavy toll her divorce has taken on her life. 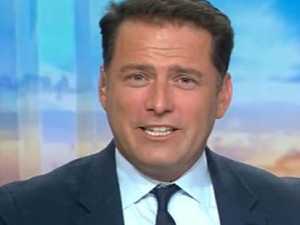 TV EVERYONE was waiting to see what Karl Stefanovic would say on the shock resignation of his Today co-host of 10 years. News TODAY host Lisa Wilkinson has made a shock announcement that she will quit the Nine Network program after 10 years and has taken a job with The Project.